Work on modernising and extending a Stoke-on-Trent care home is being guided by Croft Architecture. A two-storey extension will add 14 new bedrooms, transform the dining area and create a coffee shop for use by residents and their visitors at the Limes Residential Home, Glebedale Court, Fenton. Croft Architecture is working with owners Sunflower Care on developing plans to ensure the best use of space on the busy town centre site. “Work is proceeding well and is on schedule for completion before the end of September,” said Carl Croft, Managing Director of Croft Architecture. Croft Architecture is based at Anson Court, Staffordshire Technology Park, Stafford. The practice undertakes commercial and residential work. 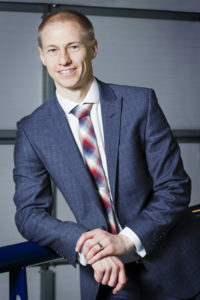 Founded by Carl Croft in 2009, the practice has worked on many significant projects for clients including Moddershall Oaks health spa, Flip Out trampoline parks and Keele University.